Santa's sleigh was attached by monsters while delivering presents to the Ice Gorge. During the incident, Santa was seriously injured. 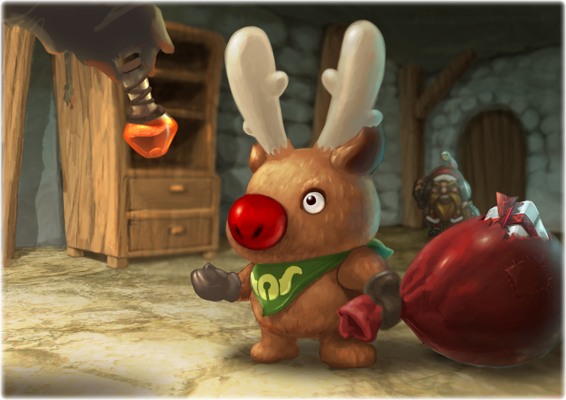 One of Santa's best helpers, Moose Monster was called upon to visit the principal of Fantasy Hero Institute for help. Monster Moose was given a strong super tonic by the principal and asked to lead all the students in a rescue mission to recover the missing presents.